On Site Agency Verification	Learn how we visit agencies on site to verify them. Our Analysts	Our analysts provide us with helpful insights in online marketing. Common Questions	We provide some insight into the questions one should ask when hiring an online marketing agency. Establish Marketing Budget	This spreadsheet can help you establish a realistic financial budget for your online marketing. Google Guidelines	Review Google's guidelines for ethical search to ensure your website is being indexed by the leader in Search. Visibility Magazine	Visibility Magazine provides professionals with helpful online marketing tips and advice. Upcoming Conferences	Learn more about online marketing conferences and events. 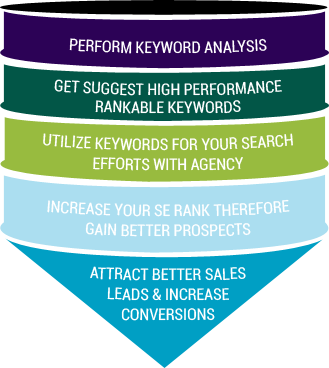 Careers in Search	Find out about the latest job offerings from lead online marketing firms. Apply for Rankings	Apply for the opportunity to be ranked amongst the best online marketing agencies. 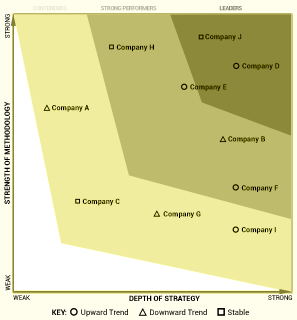 Learn why most enterprises choose to go a certain way. Have the best enterprise agencies answer your web marketing questions within 24 hours. For free. Let us help you negotiate the best deal & terms with the agency of your choice. for. And the agencies know we know. Allow us to help you resolve your disputes with your online marketing agency. Uncover excellence in our listings of SEO providers. Reputable PPC management vendors for enterprises. Reach audiences in and around your markets. Our marketing ROI calculator can provide your company with a thorough understanding of just how your revenue performance management can impact your organization's revenues. By filling out the fields in detail we can produce a picture of how your marketing will affect your sales performance. You can also output a PDF report of this information to provide to other members of your team. Had a great experience with a vendor? We would like to know more about the vendor and the service you received. Netmark.com is an interactive marketing agency that takes a scientific approach to internet strategies. From it's humble beginnings in 2007, Netmark.com has grown to a seventy person plus firm with clients that now span the globe. At Netmark.com you'll find that our approach to marketing is uniqu..
Ben Wood is a veteran in the digital marketing industry. With over 17 years experience, he is one of the few media practitioners who can genuinely claim to be experienced in managing both traditional and digital media businesses. 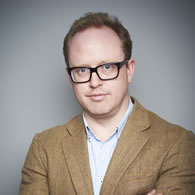 In early 2013, Ben was promoted to President iProspect UK &.. Initial Connect Request. Save Time. Have Agencies Contact You. We have historically seen an increase over time in the allocation of the average marketing budget towards online marketing. With the rise of the Internet and the onset of major Search engines there is more emphasis placed in areas including search engine optimization, social media marketing, and content marketing. We will continue to see online marketing trend upwards over time as digital advertising itself is reallocated towards a more modern and interactive approach to marketing. There are clear patterns found in how various businesses in different industries and niches utilize online marketing. This chart produces some insight in how businesses in different industries allocate their online marketing budget towards various strategies based on their primary objective. Industries where interactivity is favored will allocate more of their budget towards social media marketing. Businesses which engage in outsourcing online marketing have found great success overall in trusting professional agencies which specialize in newer strategies. Businesses which build an in-house team have generally found increased costs associated with achieving the same ROI over time. While the performance different may vary on an industry by industry basis, there is a clear upward trend in outsourcing online marketing initiatives. There are a number of factors influencing higher ROIs from outsourced online marketing initiatives to those of in-house initiatives. Many of the differences lie in the expertise of the professionals involved in implementing the proposed strategies to the types of tools and software which the agencies have access to in comparison to businesses developing a team. Due to the largest differences in how online marketing works for businesses in different industries and niches there is often a different in the amount of time in which an agency can find a return on the investment. Often times the return can also differ due to other elements including budget allocation, the timing of the strategy being implemented, and environmental factors within the industry. We have no financial interest in the agencies featured or involved in the evaluations. We maintain strict ethical policies regarding conduct with these agencies. We accept no advertising which may affect impartial judgment within the rankings. View our resources to learn more about online marketing. We can assist enterprises searching for online marketing services by serving as a confidential broker for buyers looking for fair quotes from reputable enterprise-focused agencies. We receive specialized quotes based on the needs of the buyer and produce the quote anonymously. We offer online marketing agencies the opportunity to be highlighted in the results of our quarterly case study competition. Agencies which offer thorough and engaging case studies outlining their achievements will be considered. Visibility Magazine provides marketers and buyers alike with useful information and insights. Our conflict management service aims to assist buyers in resolving the conflicts that might occur over time in regards to the merchant services provided to them. Discover the best internet marketing agencies worldwide. 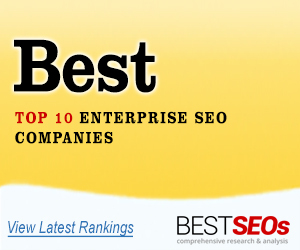 Access ratings of the best internet marketing agencies that service enterprises. Access ratings of the best internet marketing agencies that service small and midsized businesses.